Samsung has expanded its renowned Galaxy S family with the new high-end Samsung Epic 4G, which the company claims as its first 4G-capable Android smartphone equipped with a slide-out full QWERTY Keyboard and 4″ Super AMOLED touchscreen, incorporating an array of advanced, impressive features such as Swype text input technology, Wi-Fi b/g/n connectivity, DLNA support, Mobile Hotspot and Samsung Social Hub. According to Samsung, the new Epic 4G will feature Samsung Media Hub in the near future, offering users an access to a a full library of video and literary content available for purchase or rental, aiming to deliver an ultimate entertainment experience. 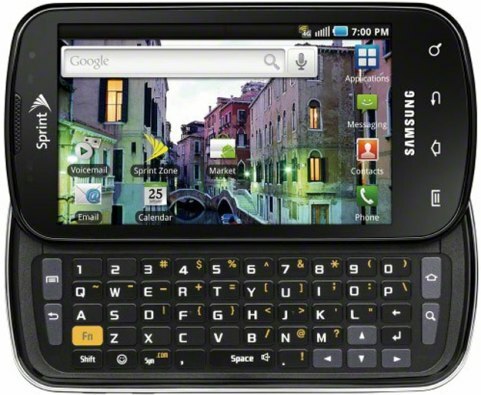 The release date and pricing details for Samsung Epic 4G Galaxy S smartphone has yet to be announced by Sprint. Update: Samsung Epic 4G will hit Sprint stores on August 31 for around $250, after a $100 mail-in rebate with a new two-year service contract.